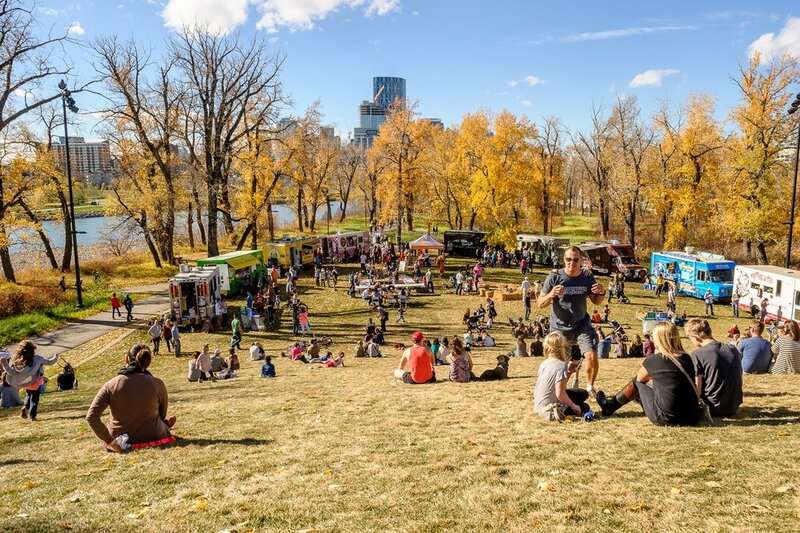 One of Calgary’s oldest parks, the development of St. Patrick’s Island as a public space began in the late 1890s and gained momentum with construction of a bridge to the island in the early 1900s. 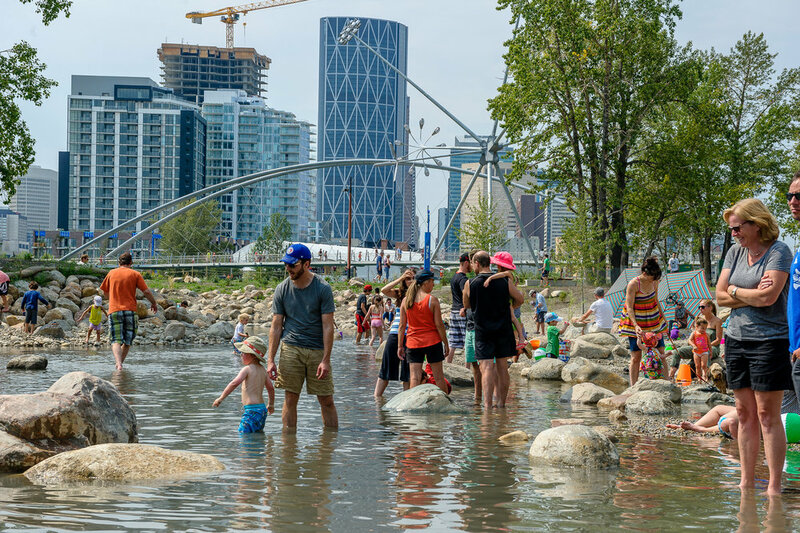 More than a century later, this all-but-forgotten treasure at the city’s centre has re-emerged as an amenity-rich, family-friendly—and National Urban Design Award winner—park space for all Calgarians to enjoy. 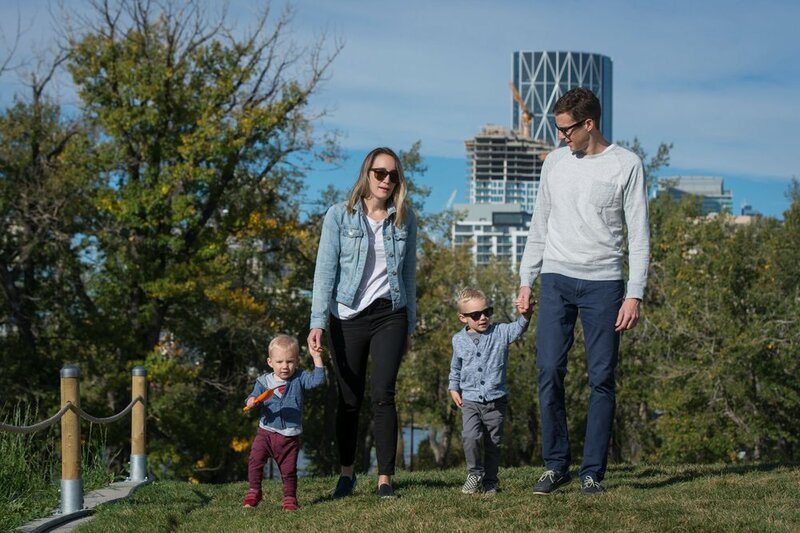 The park’s opening in July 2015 was one of the year’s highlights for Calgarians, with 5000 number of visitors on opening weekend and more than 20,000 per year. Featuring hiking and biking trails, a plaza and amphitheatre, play areas, an elevated rise and restored river channels, today the multi award-winning park hosts a variety of vibrant programming that includes festivals, guided nature walks and family picnics to help people discover all that the island has to offer. Today the park hosts more than 75 annual events. 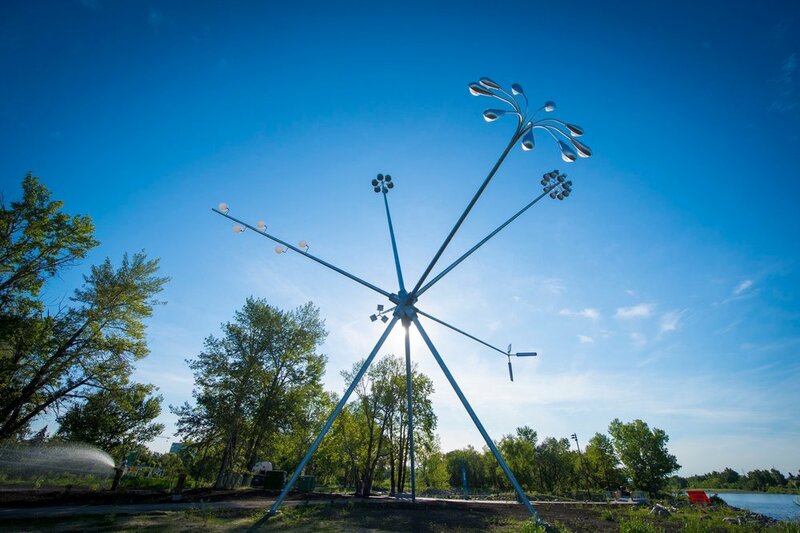 CMLC’s redevelopment of St. Patrick’s Island was a key component of our place-making strategy for the Rivers District. Creating infrastructure and developing programs to bring public spaces to life are central to our redevelopment efforts. 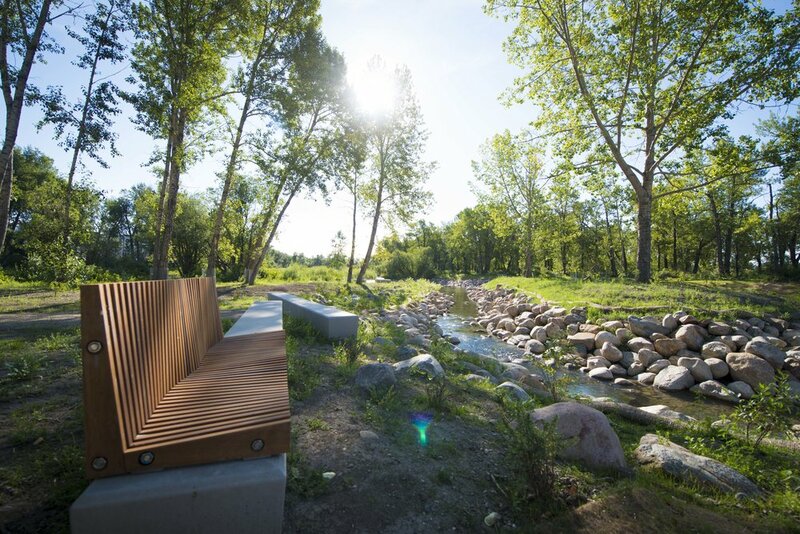 In 2010, we embarked on a master planning process to shape the future of St. Patrick’s Island and two years later we announced the selection of New York-based W Architecture and Denver-based Civitas as the team to realize that vision. 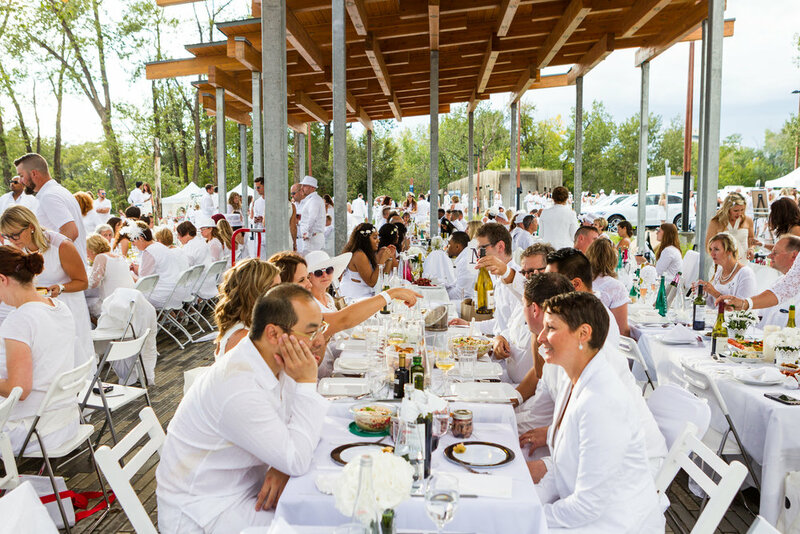 The Tip – a vantage point and seating area at the island’s westernmost edge with great views of the river and downtown Calgary. The area is defined by Bloom: a 23-metre permanent public art installation that provides a focal point and soft ambient lighting. The Seasonal Breach – a restored channel where visitors can wade into the water and venture safely out onto a gravel bar. Pathways – gently meandering paths wander through forested areas and around the island, ideal for hiking, biking, snowshoeing and cross-country skiing. 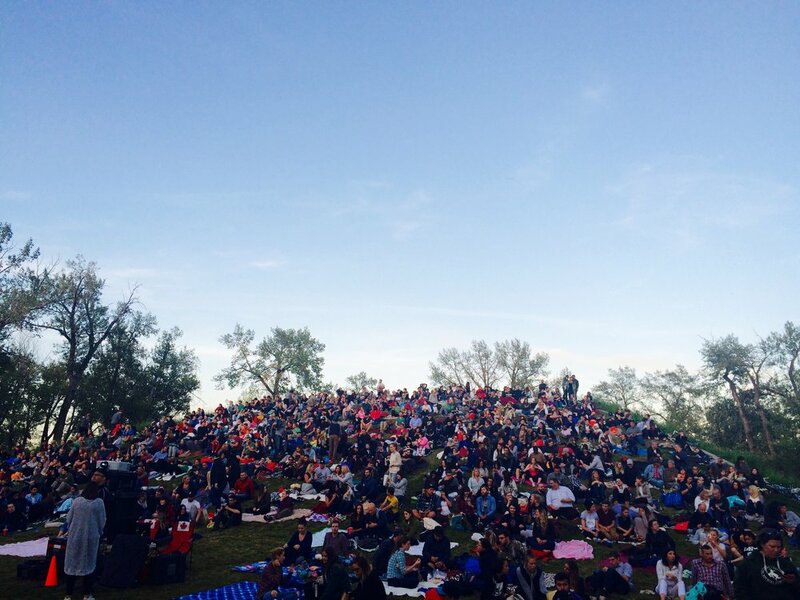 The Rise – a grassy knoll, nine metres high, that provides a perfect setting for community celebrations, performances and movies in the park (and, in winter, for some fantastic sledding). The Playmound – a child-friendly area with playground equipment. The Lowland Channel – a seasonal riparian wetland at the heart of the island, with an elevated boardwalk for no-impact access to the wetland and the Gallery Forest, an important habitat for nesting eagles, owls and songbirds. The Picnic Grove – an accessible family-oriented spot and natural meeting place. The Cove – a river access, perfect for fishing or rafting. Confluence Plaza – a gathering place with shade, a sun deck, seating areas and a small amphitheatre that hosts performances and other programs throughout the summer.